Are you ready for a Fab Fast Friday? I haven't done a post in this series in awhile. It is when I try something new and love it and want to post a quick rave...period! As a beauty blogger, I certainly have a copious supply of makeup brushes. While I do love reviewing beauty tools, more often than not, there is nothing very revolutionary or "new" with makeup brushes. Well, that is certainly not the case with this unique brush from Artis! Quite the contrary...once I opened this bad boy up from the mail, I put him right to use! The silver handle design is so elegant. It really does look like a hair brush with makeup brush hairs instead of hair brush bristles. The brush head itself is pretty much the most densely packed brush I have ever seen or used (over 250,000 fibers actually! wow!). It is made of artificial fibers and the softness is just unbelievable! It is so soothing to use this on your face. 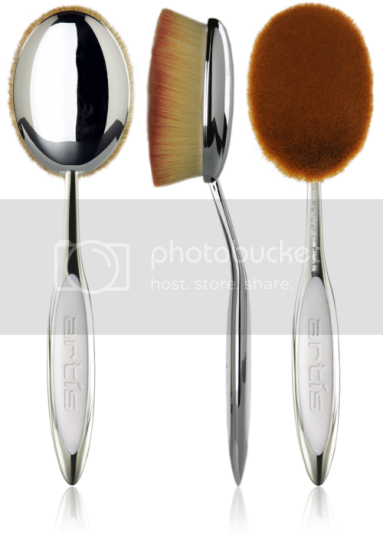 This brush can be used for applying foundation or powder foundation, applying highlighter to face and body, or applying setting powder. Personally, I like it best for applying foundations. It gives you the most amazing and almost airbrushed-looking finish. So perfect and so great at blending! Yes, this is a pricey brush...but, I am telling you, you don't have anything like this in your collection! 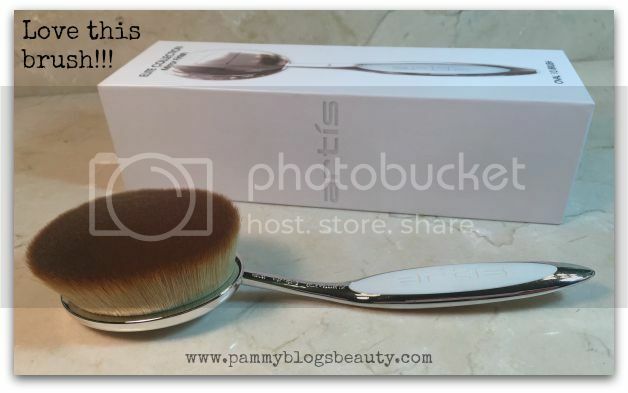 So, go check out this Artis Elite Oval 10 Brush...it is amazing!